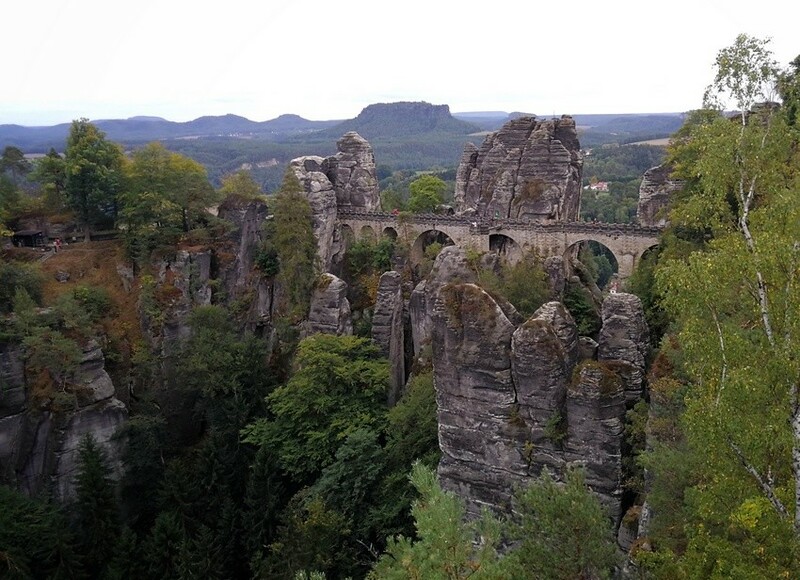 Get off the beaten path and visit stone Bastei Bridge, Königstein Fortress and enjoy an unlimited number of hiking and cycling paths in Saxon Switzerland. Saxon Switzerland, a national park located southeast of Dresden in Saxony, is dotted with amazing rock formations and fairytale views. You might never have heard about it before, and yet it makes for one of the most beautiful places in East Germany. There are many places to explore, and distances between them are short. A prolonged weekend is just enough to enjoy both taking in the sights and spending some time in nature! Saxon Switzerland is the only rock national park in Germany. Its strangely eroded rock formations, which date to the Cretaceous period, are an unforgettable sight, and not something that you normally see in this part of Europe. With its chalky sandstone cliffs, deeply carved valleys, table mountains and gorges, this fascinating landscape is the only one of its kind in central Europe. 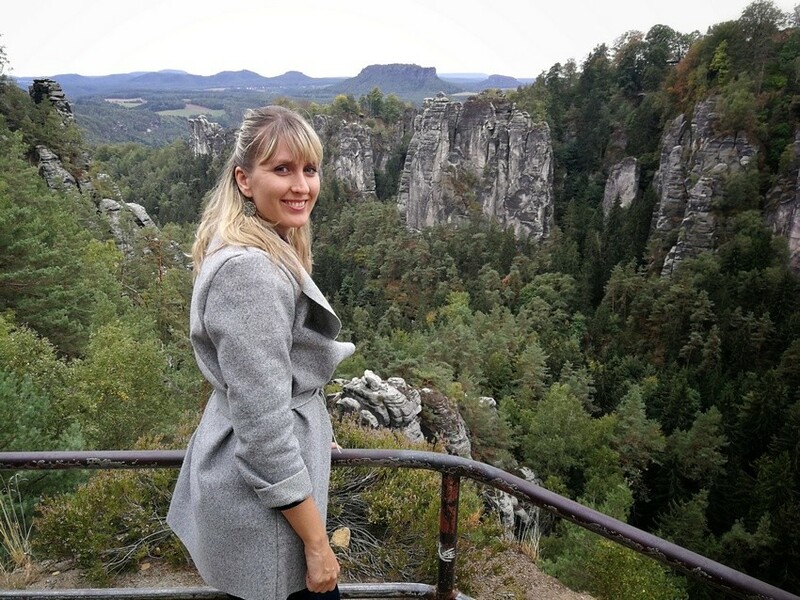 Why should you visit Saxon Switzerland? With the area of 93,50 km², Saxon Switzerland makes for an amazing playground for nature lovers including hikers, climbers and cyclists. The national park in easily reachable from Dresden on the German side and Prague on the Czech side, making for a perfect getaway. I had visited the neighboring region of Bohemian Switzerland already before, and finally, the time had come to visit the German side. Both parts feature incredible natural and cultural sights. As a bonus, the German side features an amazing spa where one can kick back and relax. 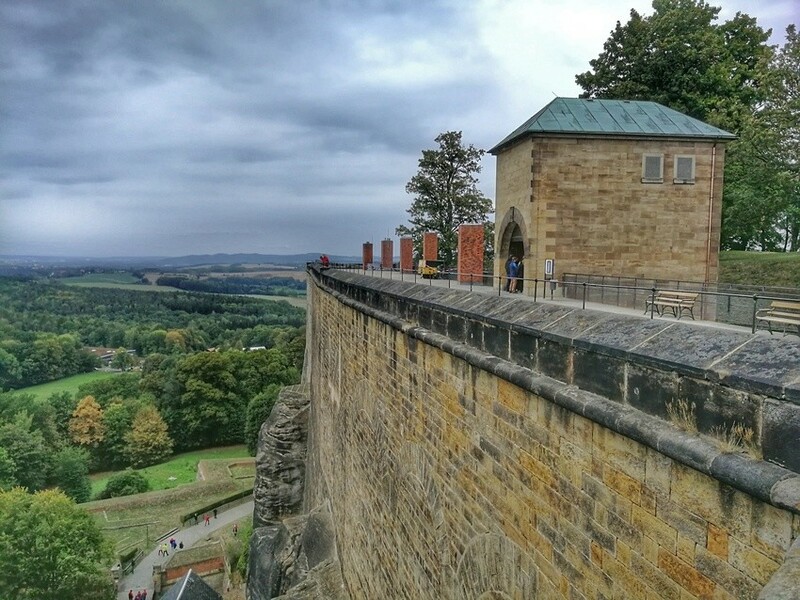 Are you planning to visit Bohemian Switzerland soon? In this article, I will highlight the places that you should add to your itinerary. Saxon Switzerland is located 30 kilometers southeast of Dresden, the capital of Saxony. This is also where the closest airport is located. I do recommend traveling by car in order to have flexibility. Alternatively, you can also get there by train. Since Saxon Switzerland is located near the Czech Republic border, you might want to connect it with a trip to Prague. The distance is about 150 kilometers. When is the best time to visit Saxon Switzerland? Do it in autumn if you can; the colors at that time are simply stunning. Spring and summer are equally great when it comes to cycling and hiking trips. If you visit in winter or simply encounter bad weather, you can always warm up at Bad Schandau; the legendary spa town is open all year round. 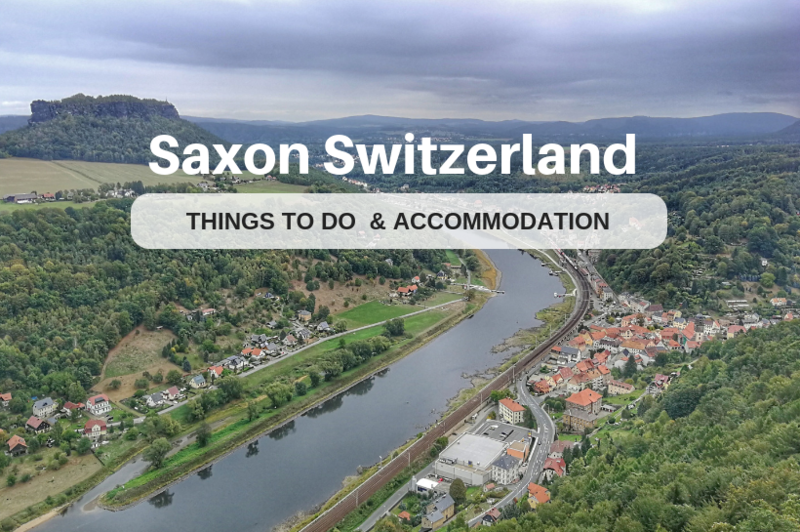 Saxon Switzerland is known for its fascinating landscape, which is the only one of its kind in central Europe, so make sure you have enough time to just wander around. No matter whether you explore on foot or by bicycle, the scenery is simply unforgettable. In this post, I focus on all the places that shouldn’t be missed. Situated on the Elbe river, Bad Schandau is one of the most visited places in Saxon Switzerland. This quiet spa town makes for a great base for exploring Saxon Switzerland; you can reach all the main sights easily from it. It’s a great place to return to after a day of sightseeing; you can recharge your batteries while walking along the banks of the river or soaking in the spa. I have been to Toskana Therme spa twice already and it’s always a great experience. I love their relaxing pool called Liquid Sound – it’s situated in a round room illuminated with 360-degree video projections shown above. Under the water you can hear the music, so all you need is to lie down on the water and you will instantly be at ease. I can tell you this: after 30 minutes, you will feel like you have been reborn! The entrance fee to Toskana Therme is only 2 euros for 2 hours. From Monday to Friday there is a happy hour, during which you can even stay 3 hours for the same price. For updated info you can visit their website. Bastei is a monumental bridge stretching between jagged rocks formed by water erosion over one million years ago. The bridge has become a symbol of the whole national park and I have been longing to visit it for a long time. And I wasn’t disappointed! The only thing you need to take care of is the timing of your visit: there are 1,5 million tourists per year at Bastei. So what to do so that you don’t end up lost in the crowds? The best way is to wake up early and visit the place before everybody else gets there. Alternatively, later in the afternoon could be fine as well; I got there after 6 pm to find there were few people around the bridge. Originally, the bridge was wooden. In 1851 they rebuild it with sandstone, making it the first attraction in Europe to ever be constructed to serve purely for tourism. It hovers at a death-defying 305 metres above sea level, offering amazing views of the surrounding area. 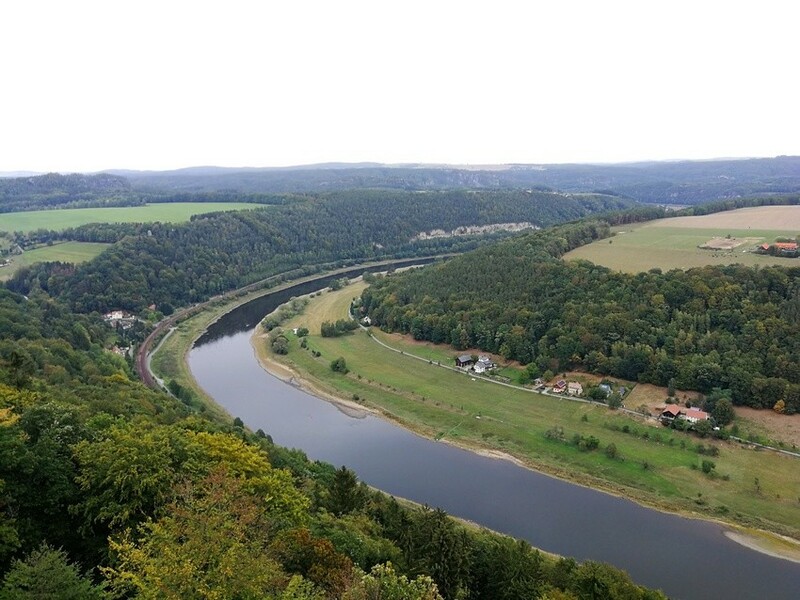 Basically, there are two options for getting to Bastei: you can drive all the way and park at the viewpoint, or embark on a more adventurous approach, starting in Kurort Rathen, then traveling there via a short boat ride and one hour hike. Construction of rock castles and fortresses is typical for the area of Saxon and Bohemian Switzerland, but most of them were abandoned by the end of 15th century. After that, many of the castles served as shelters during war. Neurathen used to be the biggest rock castle in Saxon and Bohemian Switzerland. The first mention of Neurathen dates back to the 13th century, but much of its history remains a mystery. There is not much of the castle, so some imagination is needed to ponder what the castle may have looked like. There are several preserved rock chambers and defense gates remaining. Impressive views of the valley and the Basteibrücke bridge can also be enjoyed. Imposing Königstein Fortress can be spotted from far away; it sits majestically atop a mountain above the River Elbe, at an altitude of 240 meters above sea level. It once fell under the Czech kingdom, and today it is just 15 kilometers from the Czech border. This historic military open-air museum is surprising in size (totaling 9.5 hectares and encompassing some 50 buildings), so it’s good to budget at least an hour and a half for a proper visit. I recommend getting the audio guide for 3 Euros from the souvenir shop and exploring the grounds on your own. The fortress is encircled by unique sandstone walls reaching 42 meters in height and nearly two kilometers in length. There are two elevators leading to the fortress – I could hardly believe that they really have such advanced technology installed there, so I was excited to test it out! The lift brought me down to the cash desk safely. Saxon Switzerland is a great place for cycling. The Elbe Cycling Route, one of the most popular long-distance routes in Germany, is a great way to explore the beauty of Saxon Switzerland. Starting in the city of Schöna, you can make it all the way to the Baltic sea (860 kilometers) or travel upstream towards the Czech Republic. Apart from the long route, there are a couple of nice cycling day trips, too. The area is very flat and easy to cycle. As long as you get nice weather, spending time around the river is one of the best things you can do in Saxon Switzerland. When exploring the national park, you can choose between staying on the German side or traveling a few kilometers further to the Czech side. As I said before, Bad Schandau is a great place to stay. An alternative choice in Czech Republic is Hrensko. You can also add on a visit to Bohemian Switzerland. recommend the elegant Hotel Elbresidenz. They even have their own spacious wellness area with an outdoor balcony overlooking the Elbe. 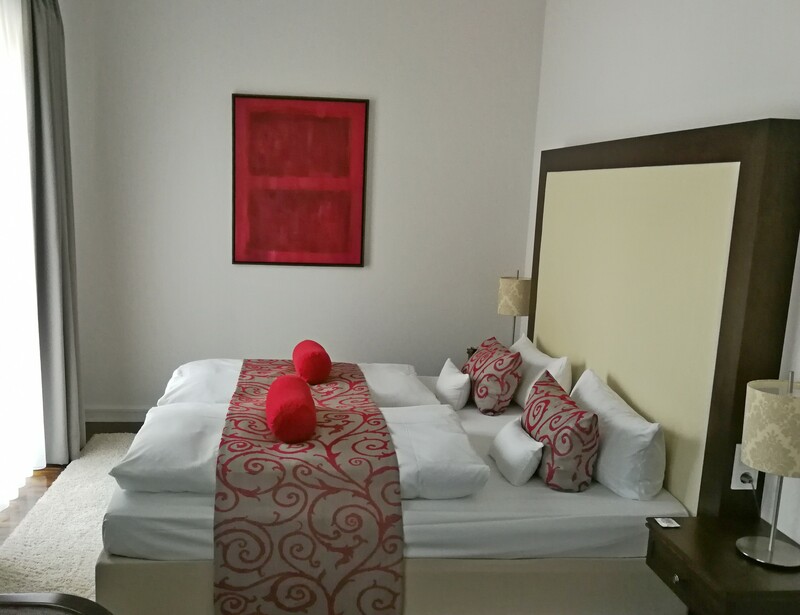 The rooms are modernly furnished and arriving guests are welcomed with complimentary pralines in the room. There is no better thing than a brewery and a hotel under one roof 🙂 Brewery Falkenstein offers exactly that: a great selection of beers as well as newly refurbished rooms. The brewery is situated in the centre of Krasna Lipa town. There are eight rooms named after the surrounding mountains and several apartments with kitchenettes. What’s your favorite place in Saxon Switzerland? During the trip I tried to visit as many places as possible, but I know that you need a lot more time (and maybe even a few visits) to really see and do everything. Please feel free to share your tips in the comments. 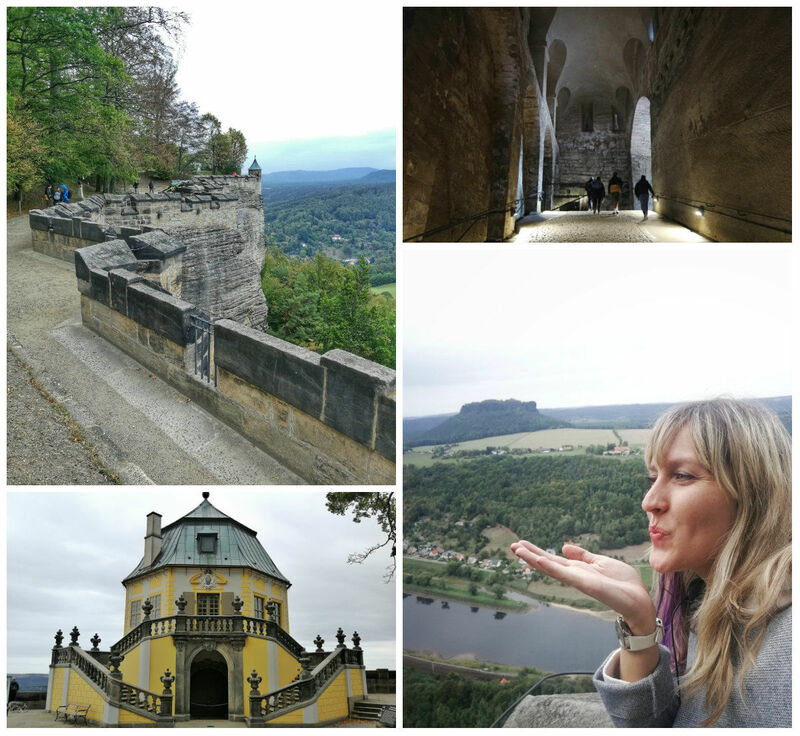 My favorite place was Bastei – where did you like the most? Did you also hit the hiking trails or ride a bike? 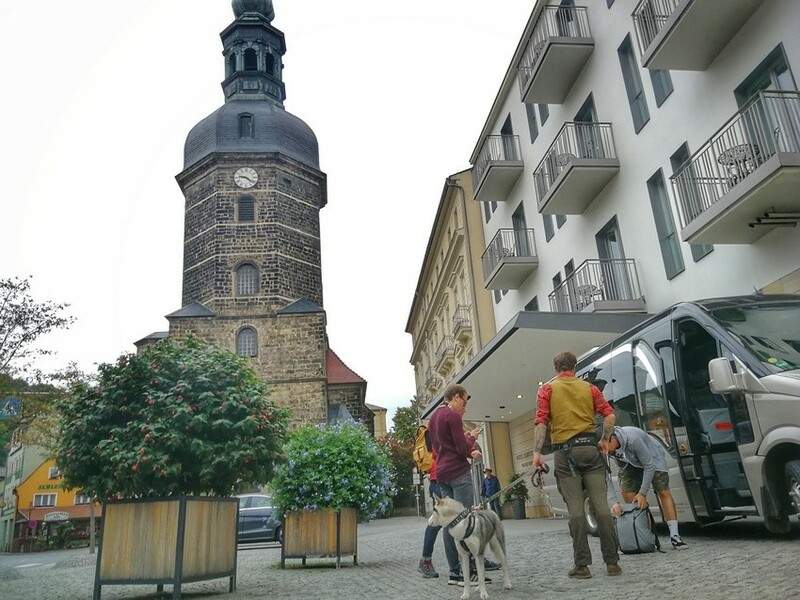 The trip is in partnership with the Prague office of The German National Tourist Board. Haha exactly. Bad Schandau is super relaxing, no matter how old one is. Sounds like a great place to visit from Prague. The hotels sound really cool and I’d love entry to a spa. I didn’t realise Saxon Switzerland is the only rock national park in Germany! Actually, the name is rather confusing as you could easily think it’s in Switzerland instead. Looks like a beautiful, especially the Bastei Bridge. Yep, sometimes the name could be a bit misleading. But yeah, it is Germany. I have never heard of Saxon Switzerland and didn’t know that a place like that existed in Germany. Bad Schandau looks like the perfect neighbourhood to stay in while in the area. 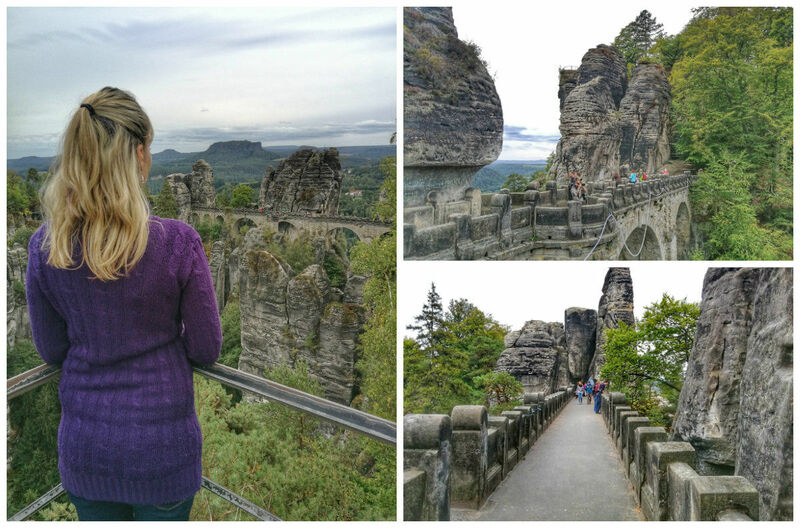 The lookout from Bastei Bridge is superb, what amazing views over those rocks! Also, I love castles and fortresses so I’d want to visit Konigstein and Neurathen, both! Thanks for your comment. Saxon Switzerland really looks like your kind of place. There is just enough to do and yet enjoy the calm and beautiful landscape. I have never experienced sound under water and that to me was the most intriguing. I love the sound of Bastei Bridge and the fortress too. Being a heritage buff, there would be no missing this. Guess, I should earmark this for my next Swiss travel. Hey Sara! Bad Schandau is very beautiful. On my last trip the weather was a bit moody but the town was enjoyable nevertheless. I had never heard of Saxon Switzerland, but I am definitely interested because I love a good national park! There’s so much to do here–I feel like you could spend days exploring. Saxon is beautiful; it would certainly make for great Instagram pictures 🙂 Thanks for sharing! Wow, I’ve never heard of Saxon Switzerland but it looks beautiful. Those rock formations are really stunning, and love the walking bridge the runs right through them. Looks like it would be a perfect destination to add on to a Germany road trip. Toskana Therme spa sounds inviting to me! Love spas that make us feel reborn, in fact, can’t wait to get spa again this coming Saturday! Saxon Switzerland is near Germany so I’ll keep this in mind when I move to Germany next year! Saxon looks peaceful and refreshing! Hey Catherine, going to spa is one of the best things to do in autumn and winter!